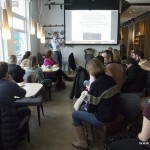 This is a summary of my first lecture in Iceland (English spoken) that took place in Hotel Marina Icelandair on the 25th. February 2016. 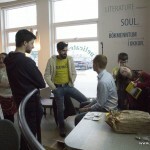 The event was supported by the Central library, Hola (Spanish spoken association) and Spanish Consulate in Iceland. He also changed his car for a bike despite the weather and now he feels happier than ever and inspired by the wild nature and fresh air. His first novel is called: “We Need a Change. 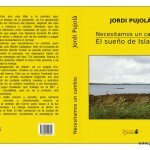 The dream of Iceland”, Eds. Camelot. 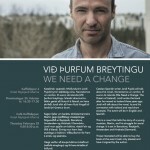 talk lecture in Iceland Reykjavik «We need a change the dream of Iceland». 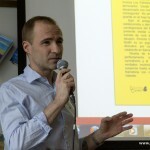 taking the time«My passion has always been writing, but I didn’t have time to do it. 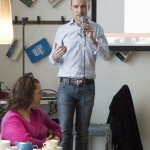 I worked in a Real Estate company in Barcelona and my life was very stressful. We always talked about houses and money». «Once my mother showed me a video of Suzanne Powell where she said: “If there is something you really want to do, just do it. You are free. Don’t be afraid…”, so I said to myself: “I´m getting off this crazy train”». «I talked to my wife and children and after a year we were driving through Europe heading to Iceland. On the island of glaciers and volcanos I wrote my first novel». Is our destiny written or can we change it? Should we plan life carefully or satisfy our wild desires instead? Is it necessary to deal with life like Samurais? Should we try to understand people or just buy them? The Ministers is a group that controls the most important industries in the world (Energy, Banking, Food, Pharmacy and Armament) without caring about issues such as climate change or the standard of living of their inhabitants. Everybody claims that We Need a Change but no one wants to alter his materialist habits. The time goes by and the rich countries keep a secret: the war for energy. Only Martin Callaghan, singer of The Patricks band, rises up against this and funds a new politic party called: “We Need A Change”. Martin is a sensitive and talented person who always plan harder challenges than the rest of population. Bart, the antagonist of Martin is a yuppy who randomly splashes out his money, drives an Aston Martin and lives in the best neighborhood of Barcelona; his vital theory is that everything in life consists on emptying and filling up. Kristine is a bohemian girl who believes in Karma and dislikes money. Dan is a frustrated musician who had a serious accident and is still trying to forget it by acting like a bizarre cowboy. Ernesto is a rude doctor that hates his old patients and meets an Argentinian therapist, by chance, who believes that all the deseases have a psychologic cause. Bodhi is a yogi who works at MIT (Masachussets Institute Technology) and goes to Barcelona to announce a catastrophe. Fiction, indy and contemporary novel that criticizes the capitalism and suggests some other points of view. It´s set in Barcelona, Reykjavík, Amsterdam and Hirtshals (Denmark).